Plus: When did it start? Has a Par-3 winner ever won The Masters? 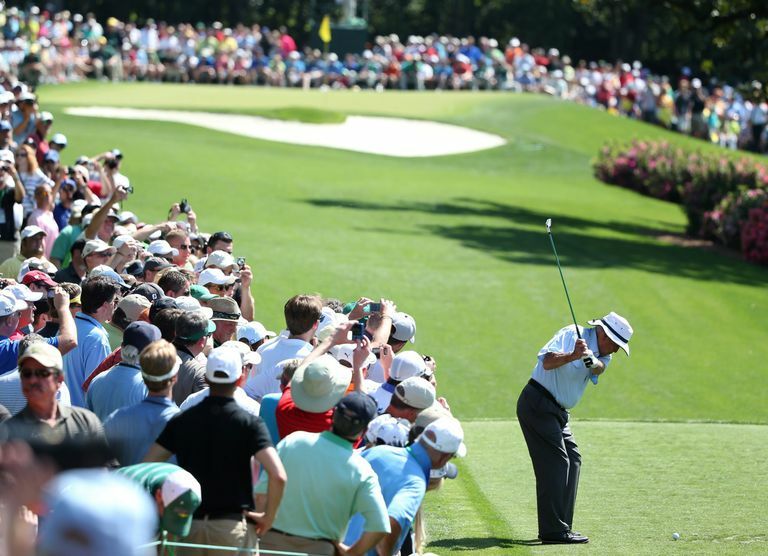 The Par-3 Contest is one of the beloved traditions of tournament week every year at The Masters. It is played on Augusta National Golf Club's Par-3 Course, a collection of nine par-3 holes that Paul Azinger once called one of the world's best golf courses. Let's go over some of the history of the tournament, its origins, its winners, and share some trivia and fun facts. What Is the Origin of Augusta's Par-3 Course and the Masters' Par-3 Contest? The Par-3 Course was added to the grounds of Augusta National, in an area near Augusta's No. 10 hole, in 1958. It was designed by Augusta National co-founder Clifford Roberts and architect George Cobb. (Tom Fazio later did some work on the short course, too). The Par-3 Course is 1,060 yards in length and plays to a par of, surprise, 27. DeSoto Springs Pond and Ike's Pond serve as water hazards on the course. The first Par-3 Contest was held in 1960, and it's been played every year since. The contest is held on Wednesday, the day before the tournament proper opens, and is open to the field for that year's Masters, plus former champions in attendance. Sam Snead won the first Par-3 Contest. Jack Nicklaus has never won. 2013 - Ted Potter Jr.
1979 - Joe Inman, Jr.
1965 - Art Wall Jr.
1964 - Labron Harris Jr.
What Is the Par-3 Contest Scoring Record? The tournament record for the Par-3 Contest is 19, set by Jimmy Walker in 2016. That lowered the previous mark of 20, which was shared by Art Wall (1965) and Gay Brewer (1973). Who Is Eligible to Play in the Masters Par-3 Contest? Beginning in 2017, the Par-3 Contest is open only to those in the field for The Masters Tournament, plus past champions of The Masters (whether they are playing in the current year's Masters or not). Prior to that, the par-3 tournament was also open to anyone that Augusta National decided to invite. That often included golfers who never won The Masters (but did win one of the other majors), some Augusta National members, and sometimes VIPs from the business world. Has the Par-3 Contest Champ Ever Won the Masters? No golfer has ever won the Par-3 Contest and then won The Masters in the same year. This has led some to refer to winning the Par-3 Contest as "the Masters jinx." However, plenty of Par-3 Contest winners have won The Masters in other years. The most famous Masters champion, Jack Nicklaus, has never won the Par-3 Contest; however, Masters champs such as Arnold Palmer, Sam Snead, Tom Watson, Ben Crenshaw and Vijay Singh have. And there's no particular reason to expect that winning the Par-3 Contest should be a harbinger of performance in The Masters. The Par-3 Contest, after all, is a pitch-and-putt, and it's also a very casual affair. Many players bring along friends or family members as caddies; not all golfers who are entered in The Masters also enter the Par-3 Contest. Prior to 2017, many golfers who played the Par-3 Contest were not entered in The Masters. (In 2017, Augusta National changed the rules, making only those golfers in the field for The Masters plus past Masters winners eligible to play in the Par-3 Contest). There are two players who won the Par-3 Contest and then finished second in The Masters the same year: In 1990, Par-3 winner Raymond Floyd lost a playoff to Nick Faldo; in 1993, Par-3 winner Chip Beck was runner-up to Bernhard Langer. Does the Par-3 Contest Winner Get a Trophy? Yes - the Par-3 Contest winner is presented with a trophy in the form of a crystal bowl. 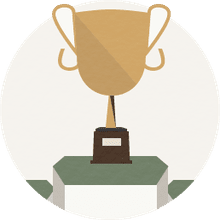 See Masters Trophies and Medals for a photo of it. Padraig Harrington is the leader in Par-3 Contest wins with three (2003, 2004, 2012). In 2003 and 2012 Harrington tied others for the win, in both cases after the day was cut short by bad weather. The Par-3 Contest was canceled for the first time in its history in 2017 due to bad weather. The most holes-in-one recorded in any Par-3 Contest is nine, which happened in 2016. One of those nine aces in 2016 was by 80-year-old Gary Player, and it was his fourth career ace in the Par-3 Contest. And four aces is the tournament record for most career holes-in-one.